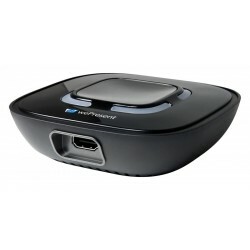 wePresent connects to any display by HDMI or VGA and creates a wireless full 1080p resolution. 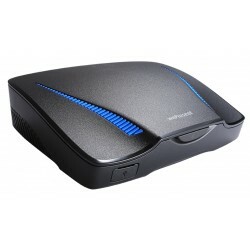 wePresent can be easily integrated into any network environment, ensuring fast and reliable presentation mirroring at up to 30 frames per second. 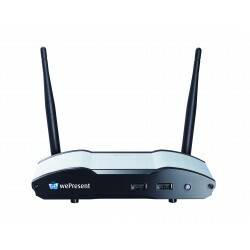 With a built in wireless access point, wePresent can provide an additional WiFi signal for guests and meeting participants. 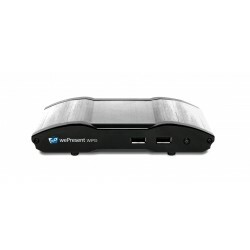 wePresent SharePod allows users to integrate document cameras, Chromebooks,..
wePresent WiCS-2100 provides businesses and educators with new features spe..
wePresent WiPG-1600 R9866160NA is the tool you've been missing to integrate..
wePresent WiPG-1600W Set WIFI Wireless Presentation System R9866160WNA Desi..